I wanted to let you know what a fantastic product you have. 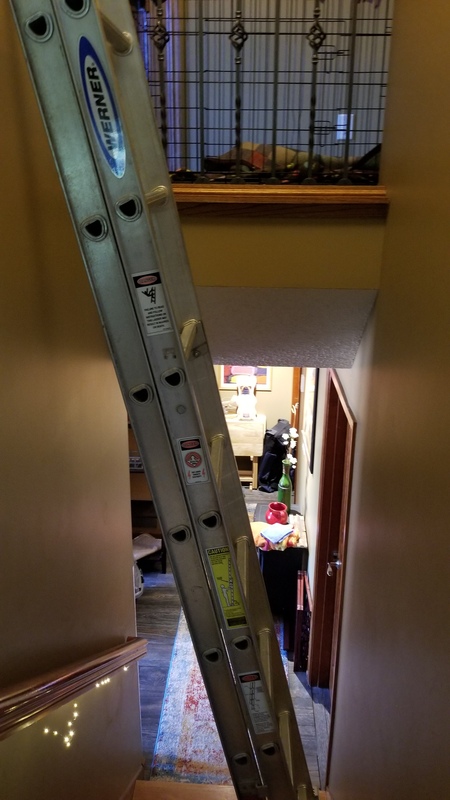 I have been trying to complete a ceiling wiring project, at the top of a two-story stairwell in our home, for several weeks. However I was at a complete loss in trying to figure out how to safely access the 16 foot height. I tried to find a specialty ladder but wasn’t willing to pay the exorbitant price that something like that would cost. I then considered building a platform, but wasn’t sure if that was the safest option. Then I found your product and decided to give it a try. It is everything your website says and more. It was unbelievably simple to use and held the my aluminum extension ladder rock steady. I am normally a bit afraid of heights and being on ladders makes me nervous because they can shift so easily. I am also 6’5″ and weigh over 250 pounds. To make matters worse, this project ended up being far more labor intensive than I expected it to be. As a result I spent nearly eight hours on the ladder, 16 feet in the air, over the course of two days. In all that time even going up and down the ladder, over and over and shifting my weight to different positions, the ladder didn’t budge even one inch during the entire time I was on it. 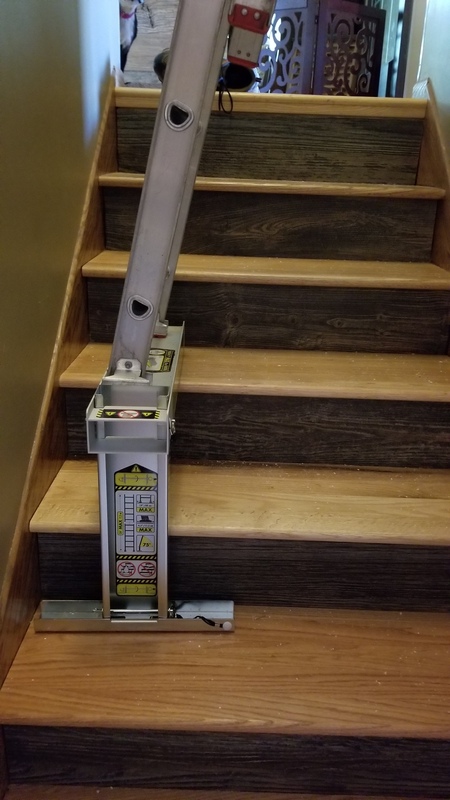 The Ladder-Aide is one of the best products I have ever used and was well worth every penny I paid for it. Thank you for creating such a well thought out and safe product. Thanks for the letter, Dave!